In 1995, Jerry Metzler was working for a local electrician and work got slow. Jerry decided to take a voluntary lay-off. During that time he was approached by a local businessman who suggested that he start his own electrical business. Jerry was told that if he started his own business the local businessman would give Jerry all of his electrical business. After a lot of thought, consideration and sleepless nights Jerry decided to go for it. In January 1996, Jerry bought a van and the needed tools and went to work on his own basing his business out of his garage which filled up quickly. Jerry’s goal was to make the business successful so that he could one day pass it on to his sons. A month into owning his own business Jerry hired his first employee (Mike Metzler) as a helper. As time went on Jerry was able to grow his clientele and expand the business. 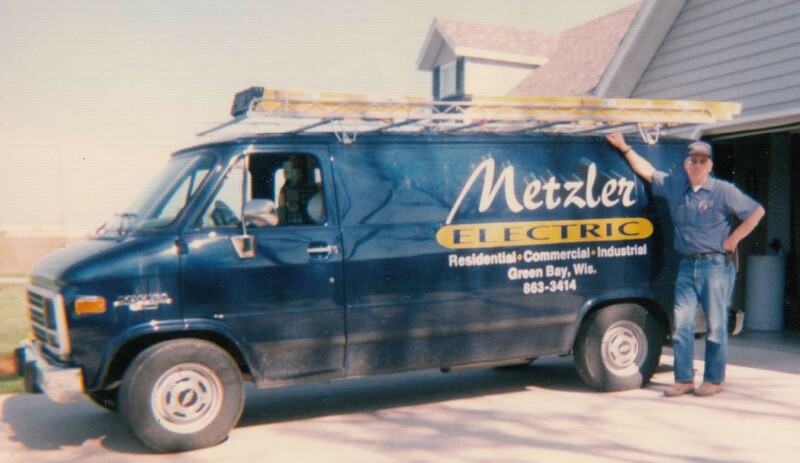 In 1999, Jerry purchased property in Green Bay and moved Metzler Electric, Inc. to its current location. Since that time Jerry has built and expanded the shop and added new employees. In 2008, Jerry’s goal turned into a reality when he passed down his business to his sons Andy and Mike. Today Metzler Electric, Inc. continues to service that first local businessman’s business that convinced Jerry to start his own business. Metzler Electric, Inc. currently has 7 trucks, employs 16 employees and continues to grow. 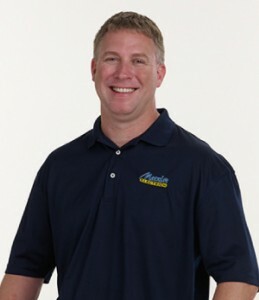 Hello, I’m Andy Metzler, President of Metzler Electric, Inc. I specialize in our Commercial and Industrial Divisions. I have over 25 years of experience in the electrical industry including 18 years as a Master Electrician. I worked many years for my father in the field and saw the importance he put on his customers and the quality of work we provided them, after all our family name is on the job. When my brother and I took over the business in 2008, I was very excited to move our great company forward and build upon what our father had started. My passion is building strong lasting relationships with my customers, employees and vendors. I enjoy the opportunity to meet new people daily and help customize their electrical needs. I work closely with owners, managers and general contractors using my creativity and design-build expertise to give my customers an electrical design tailored to their specific needs. In my free time I enjoy spending time with my children and supporting them in their extra-curricular activities. I love traveling, fishing, snowmobiling, golf and going to concerts. 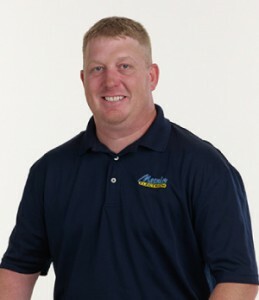 Hello, I’m Mike Metzler, Vice-President of Metzler Electric, Inc. I specialize in our Residential and DataCom divisions. I have over 15 years of experience in Residential and Commercial wiring and have received specialized training in lighting control systems, lighting design and audio/video systems design and installation. I was Metzler Electric’s first full-time employee. I worked closely with my father learning the electrical trade and watching him interact closely with customers. Seeing the great attention to detail that he provided to customers, I was excited to do the same and build new clients and relationships of my own based on these principals. My passion is working with new gadgets and learning about new technologies which keeps me up to date on the latest and greatest innovations to make your home a more convenient and comfortable place to live and entertain. My many years of wiring homes and custom designs have given me many tools and ideas to aid you, the home owner, in designing and wiring the electrical system you desire. In my free time I enjoy all outdoor activities, spending time with family and friends and watching sports. I also enjoy coaching a youth basketball team for the school district my children attend. 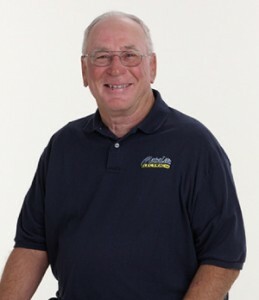 Hello, I’m Jerry Metzler, Founder of Metzler Electric, Inc. I have been in the electrical field since 1967 and have been a Master Electrician for over 20 years. During my years of service I have provided service to Residential, Commercial and Industrial customers. I take pride in the customer relations I have built throughout the years and am grateful for the success they have given our company. In 2008, I semi retired from the company but continue to have an active role in everyday operations and managing our shop. In my free time I enjoy fishing, taking outings to the cottage, working, and keeping in contact with old friends. I also enjoy spending time with family and going to the grandkids events. Quality so good, we put our family name on it! We strive to deliver quality work to each and every customer. From the moment you contact our highly trained staff to the final results and beyond, we work hard to meet your electrical needs. We promise to be on time, upfront, honest and to provide innovative ideas and solutions throughout your whole project. We care, and want to make all of our customers, lifetime customers. Copyright © 2019 Metzler Electric · All Rights Reserved.